Name of the Aschen homeworld, Tremarste was severly damaged when the Aschen stargate connected to a planet being devoured by a black hole. 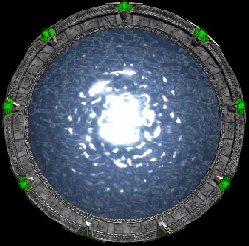 A significant amount of Tremarste's mass was sucked through the open stargate before the Aschen could devise a way to deactivate the wormhole. Millions of people died during the incident, and the Aschen hold the Tau'ri responsible, for it was from them that they procured the stargate address for the black hole.